When winter comes and the temperatures start to take a dip, people want to stay indoors. It is easy to want to move the thermostat up and get warmer inside but raises the costs of an already expensive investment like your house. Make sure you follow these helpful tips to avoid having to turn your thermostat up so high every winter. As the temperatures start climbing downward, get outside and start pruning and cutting back on trees that block windows into your home. While sunlight doesn’t always shine in the winter, you should take advantage of its free heat whenever possible. Take the time to find all the cracks holes throughout your home. It won’t take long for that cold air to creep into your home and raise the heating bill quick. Insulation can be a great investment in your home to not only keep your home warm in the winter but cooler in the summer. Think about looking at your insulation and upgrading if necessary. Take a look at your furnace and heating pump. If there is any blockage or leaks, make sure they are covered up, or the filter is replaced. 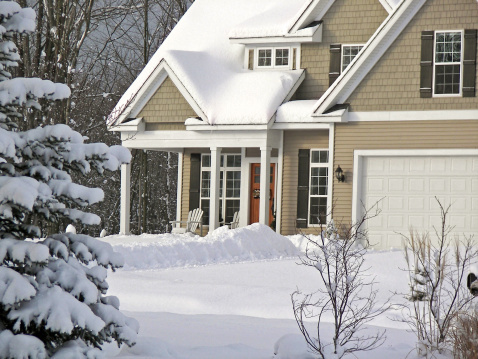 Inefficient heating units can take a lot more energy to heat the house. A gas fireplace can help heat a room that people are gathered in, so consider gathering people in that room, and turning down the heat for the rest of the house. Make sure you when you are done with fireplace, to turn off the heating blower. Talk to your local utility companies for suggestions on ways to save money on heat. They are experts in all kinds of saving techniques and will be glad to give you ways to save. Many will come to your home and even perform an energy audit and give you the problem areas in your home. If you have an older water heater, a cheap way to insulate it is by buying some insulation tape. This will help insulate the heater and cause the heater to have to work less to warm water and will save you money. Many of your appliances will last a while, but if the time is coming to replace them, consider getting ones that are more energy efficient. They may be a little more expensive at the time of purchase but will save you over the long run. There are now thermometers that automatically adjust to the temperature you feel most comfortable at. Consider the temperature during the day only being at 68 during the day and 55 at night. If it seems too cool, wear some warmer clothes. Heat only those rooms you use. If you have rooms that are only for storage, make sure the vents are closed. Keep drapes and curtains open during the day when the sun is out to allow the house to be heated by the sun. Keeping your family warm during the winter is important. It is also important to keep your bill down, especially during the cold winter months when the bill can creep up dramatically. Following these tips to keep your bill as low as possible.